This is an example of a Laser Engraved Plaque. 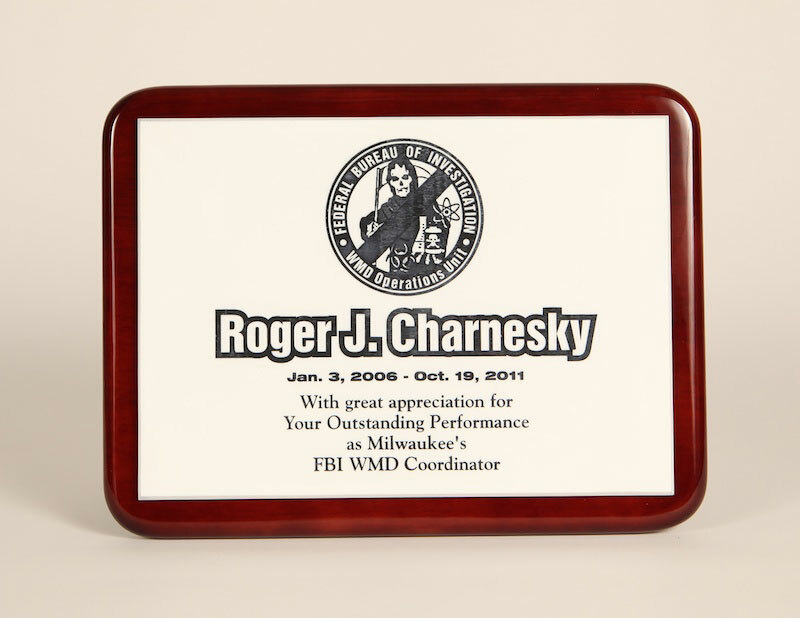 These elegant plaques are perfect for Law Enforcement Retirement and other events of honor. We can take just about any image and turn it into a priceless laser engraved wall art. 1. Do I need to supply LCI with a cad file if I need a Laser Engraved Plaque? A: A cad file is helpful if you have one but it is not necessary. Our design team can work with you to turn your idea into a finished product. 2. 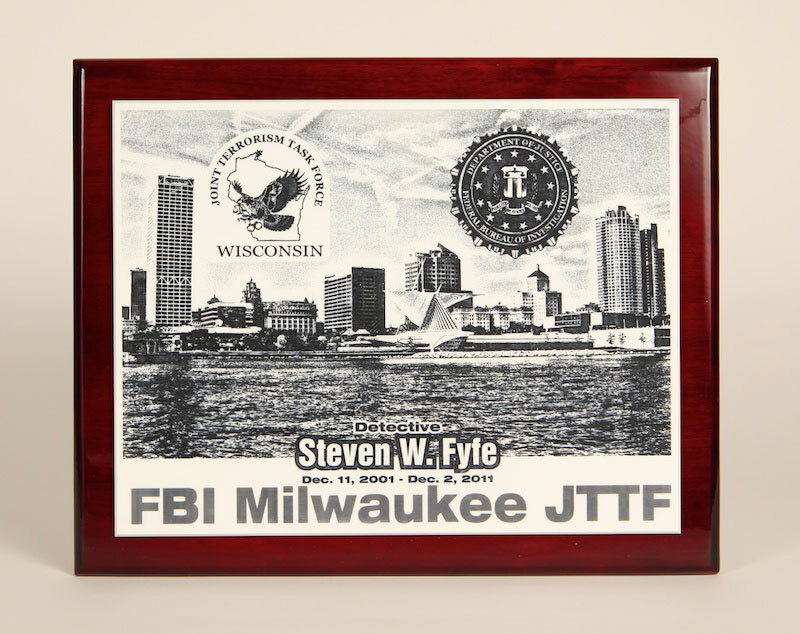 What format files do you work with for a Laser Engraved Plaque? A: Adobe Illustrator, Corel Draw, Adobe Photoshop, AutoCAD, SolidWorks and most other common formats. 3. What information do I need to get a quote? A: Size of part yo need cut, Type of Material, Thickness of Material and Color. If you don’t know any of this info, we can guide you. 4. Does LCI send a proof before producing work? A: We always e-mail a proof for your review before running any parts or products. 5. Can LCI produce a sample part before running large orders? A: Yes! We can make a production sample before doing a large production for a Laser Engraved Plaque. 6: Can you engrave photographs? A: Yes. As long as a clean focused image is provided we are able to do all of the editing required to turn your photo into an engraved image. Need a Quote on a Project? Either give us a call or e-mail us at the address listed below. We understand that our customers need quick turn around times and our team responds quickly to quote requests to help you with a solution. From pencil sketch to cad file, we can work with just about any file format to make your request into a finished success. All trademarks shown are the property of their respective owners. Laser Cutting, Inc. serves Chicago with 1 day UPS ground shipping! So first, rarely do I give reviews but my experience needs to be told.